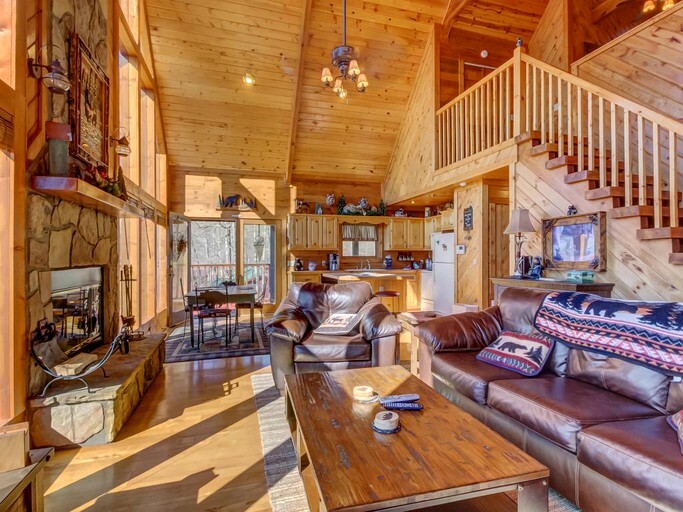 Enjoyed our family vacation in this home! 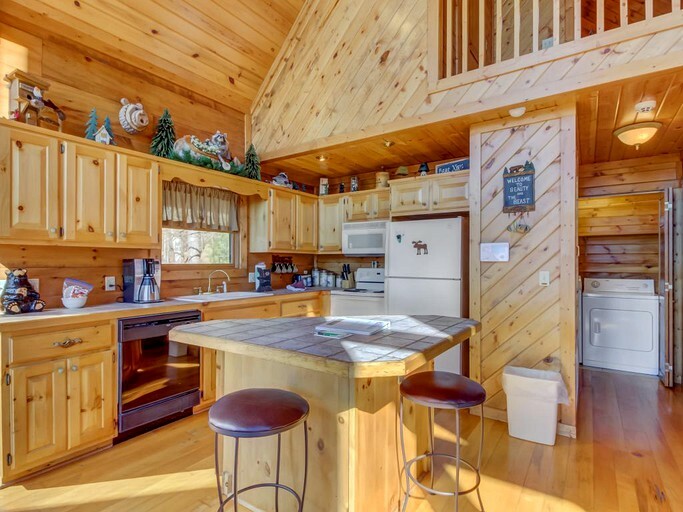 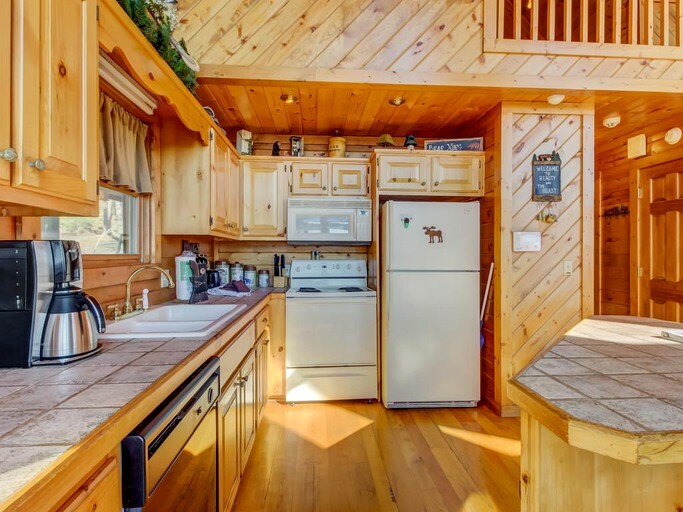 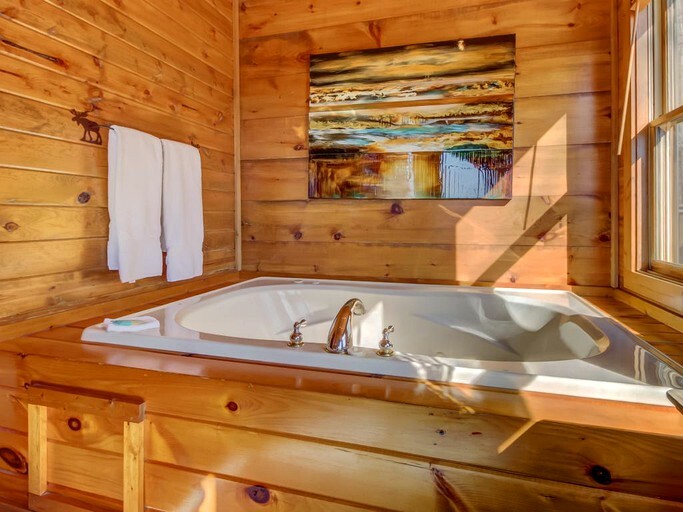 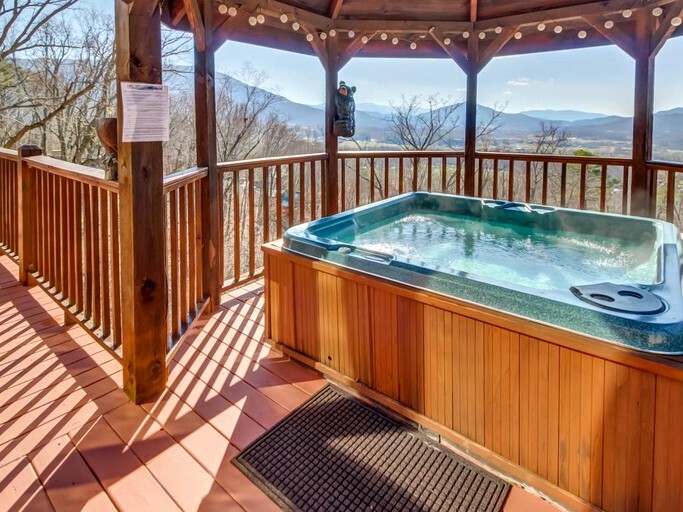 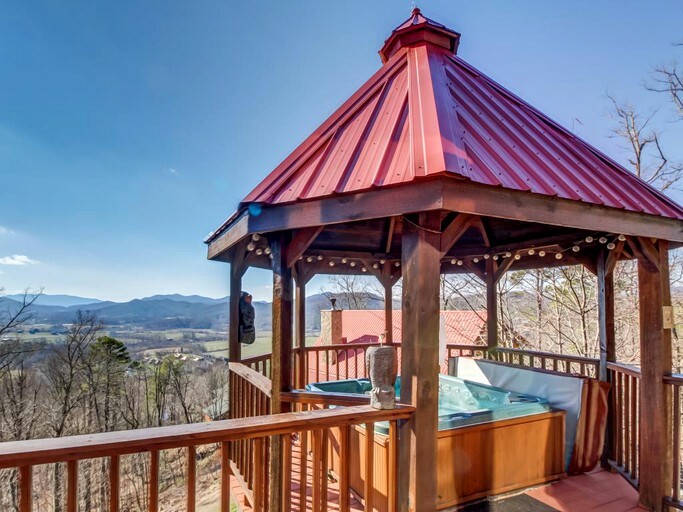 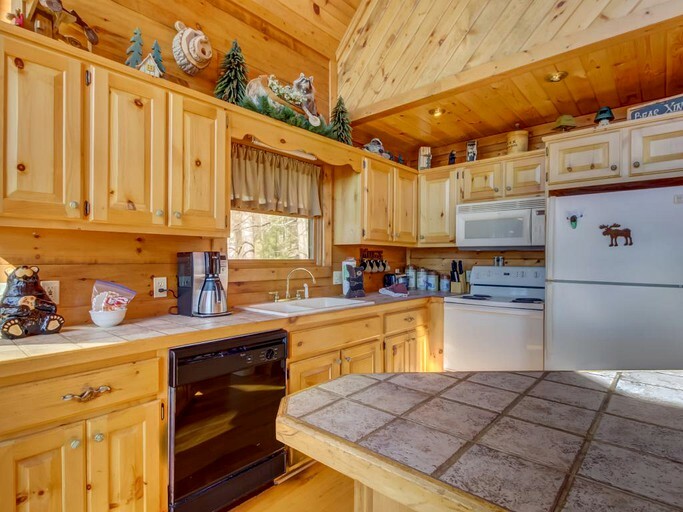 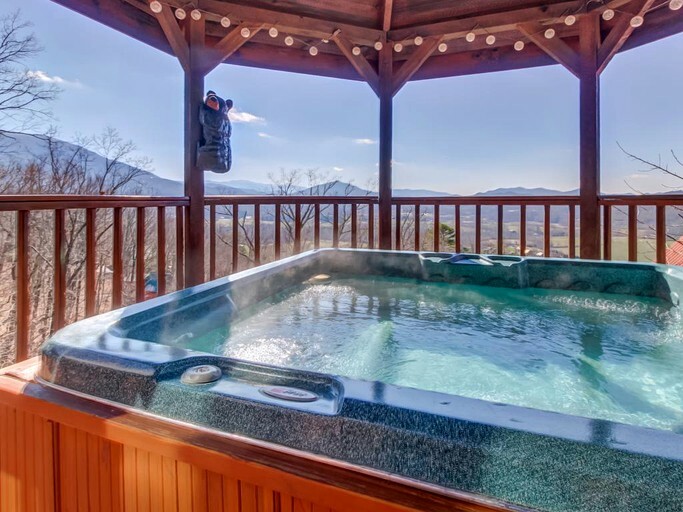 This property features a cozy hot tub on the porch that overlooks the gorgeous mountain views, as well as a DVD player and flatscreen TV for more entertainment. 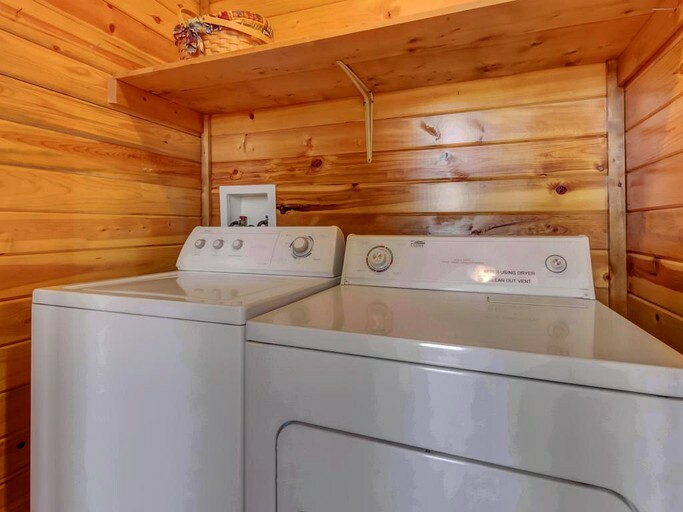 Air conditioning, Wi-Fi, and a washer/dryer combination are available for convenience, while a charcoal barbecue outside and a fully equipped kitchen inside will provide everything you need for a home-cooked meal. 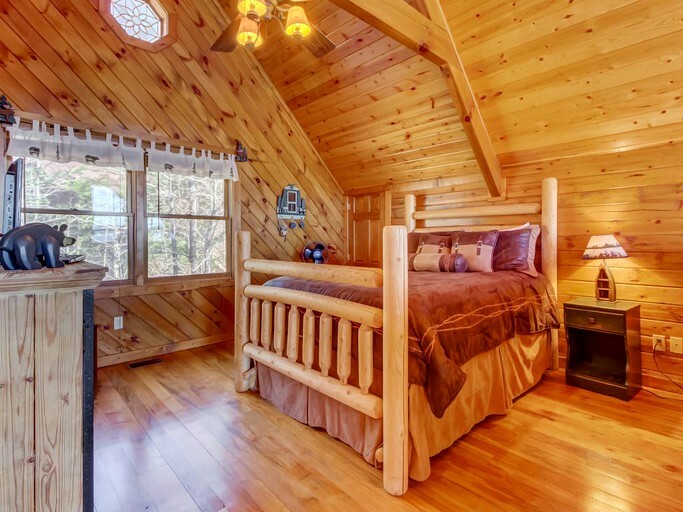 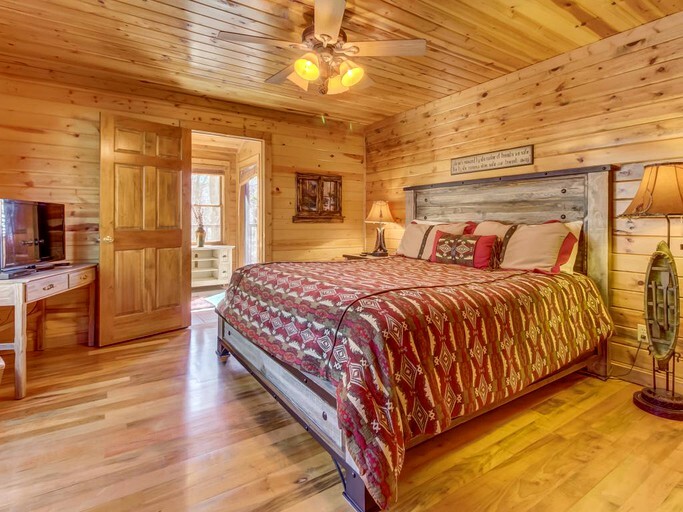 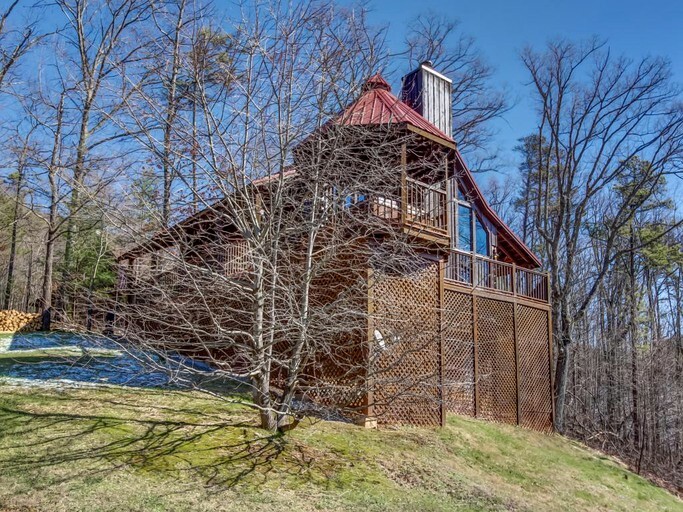 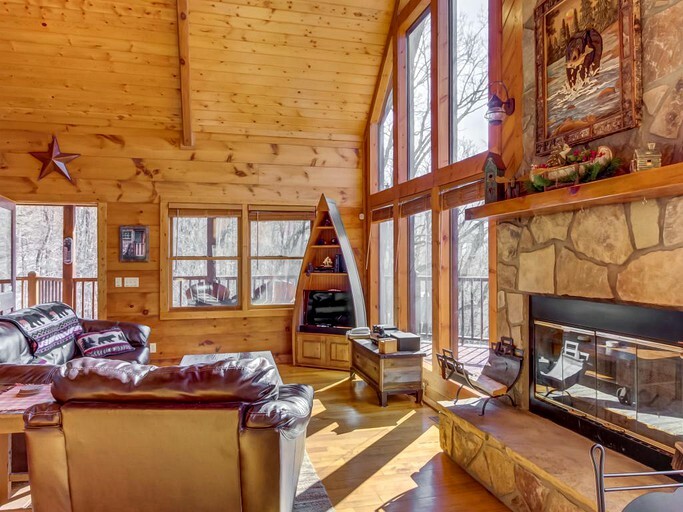 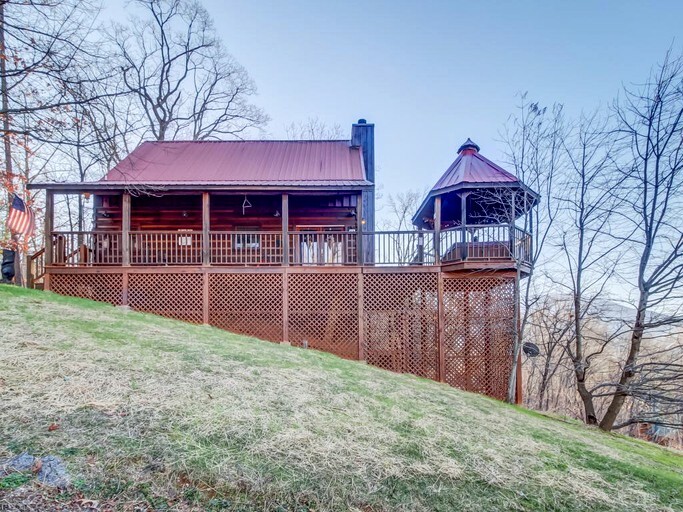 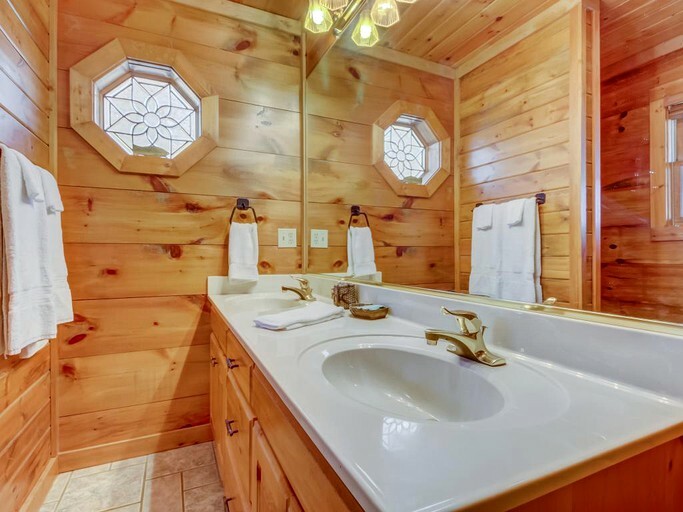 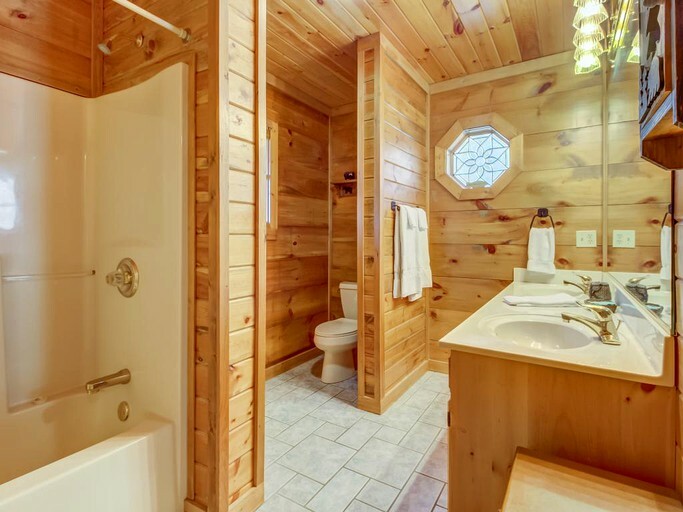 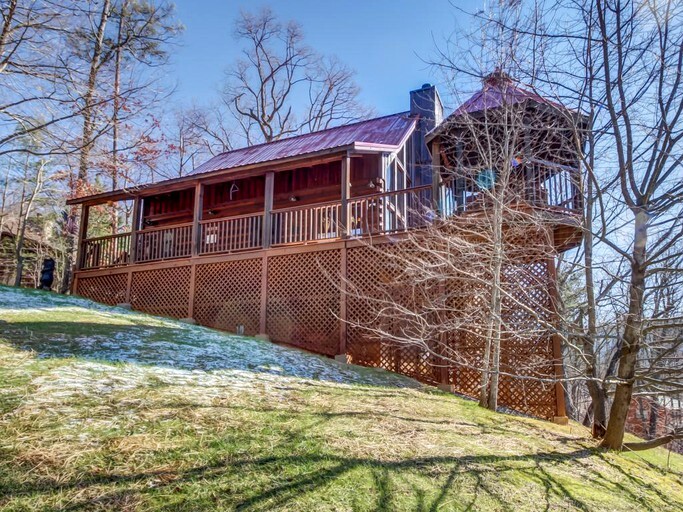 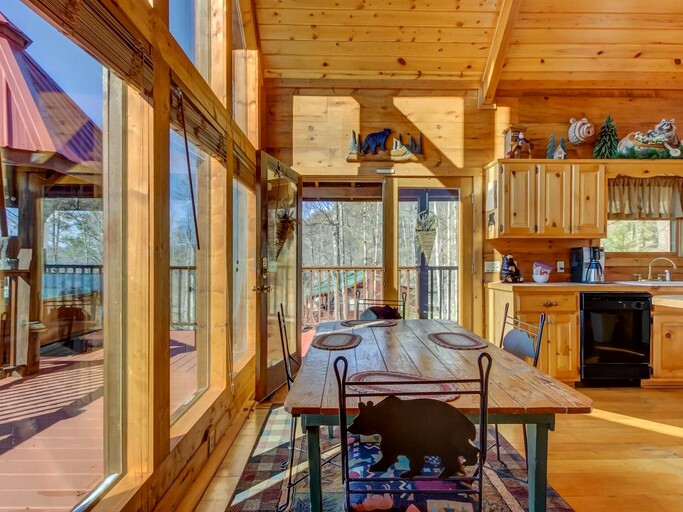 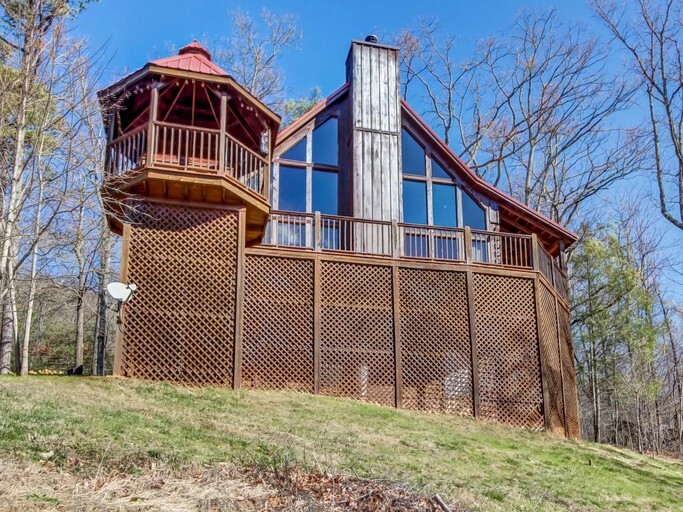 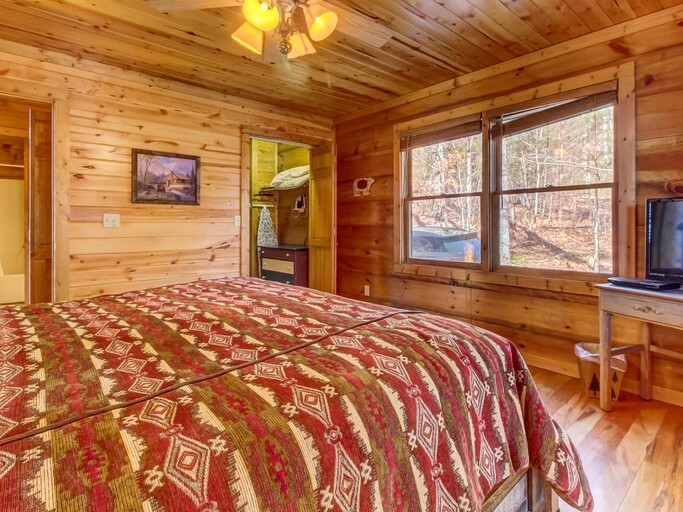 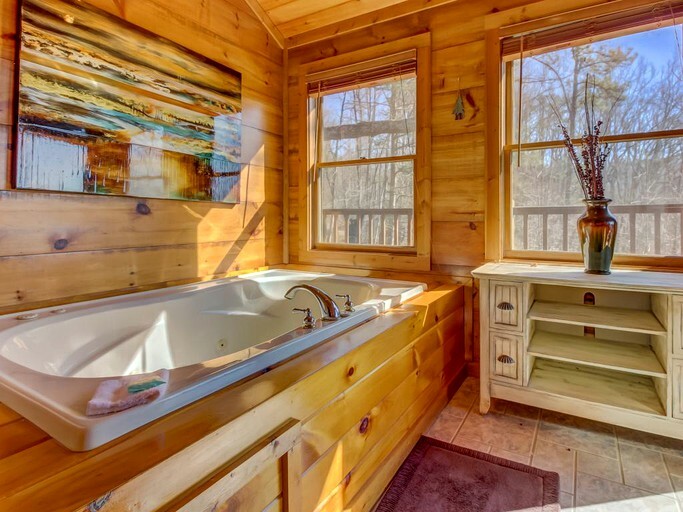 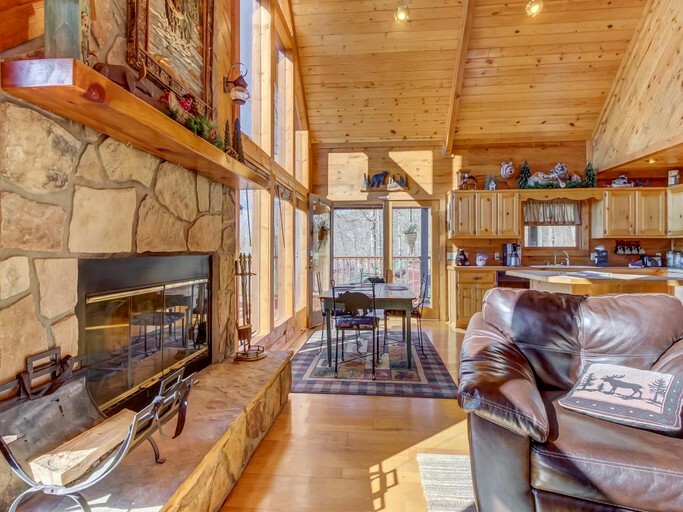 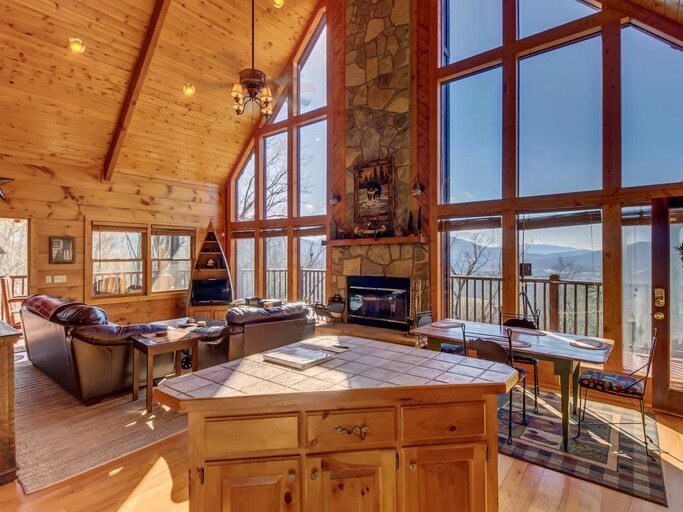 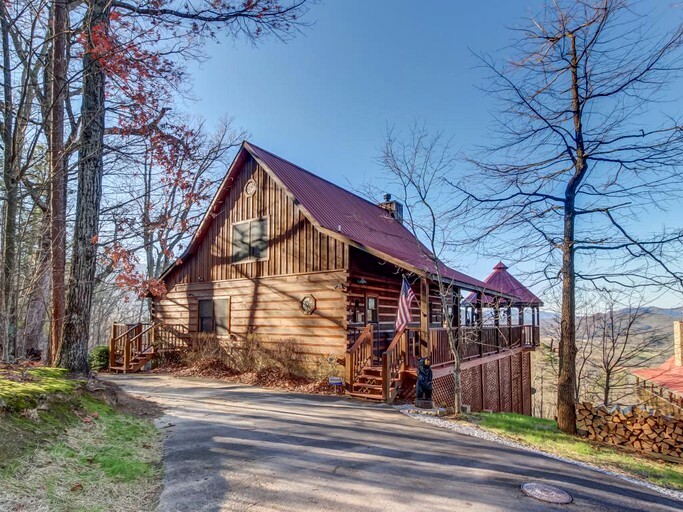 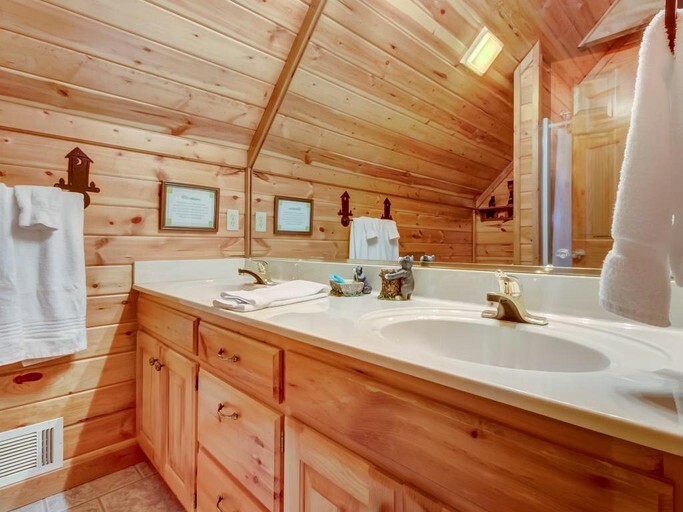 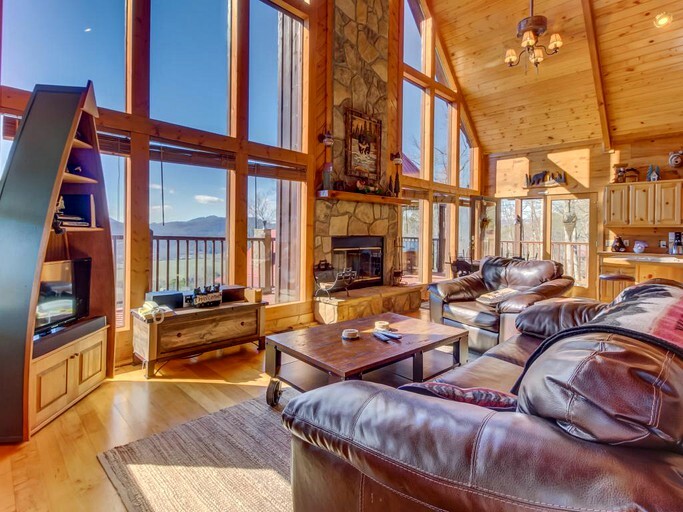 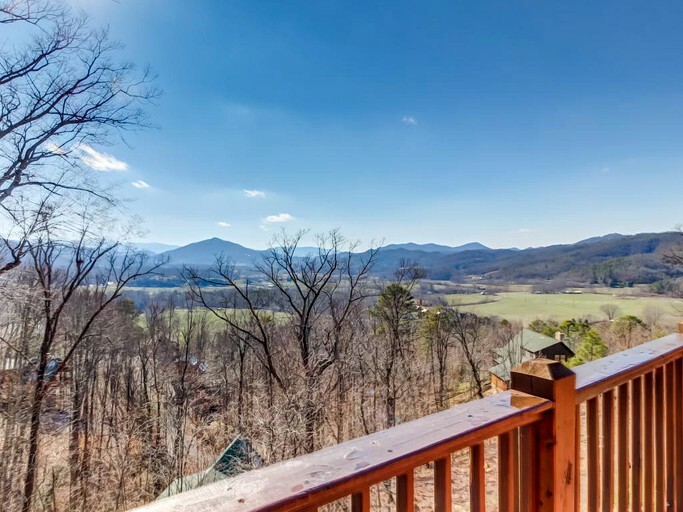 This stunning cabin is located on a mountainside close to the heart of Sevierville, Tennessee. 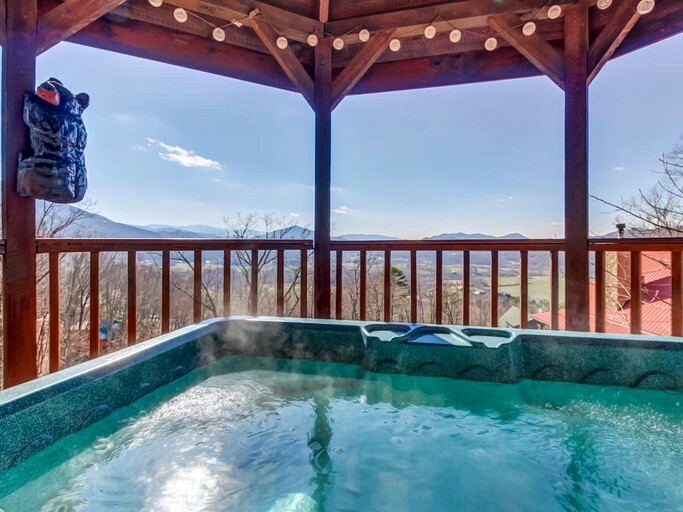 With Cades Cove and the Great Smoky Mountains National Park within a short distance, this beautiful spot makes for an excellent, secluded getaway with plenty of activities to enjoy. 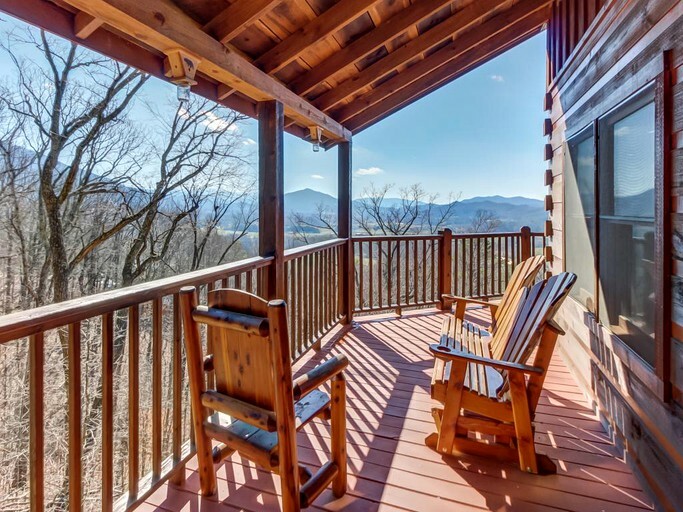 Only a short drive away is the Great Smoky Mountains National Park and the beautiful Cades Cove, where guests can enjoy the views of babbling streams, stunning waterfalls, and diverse wildlife. 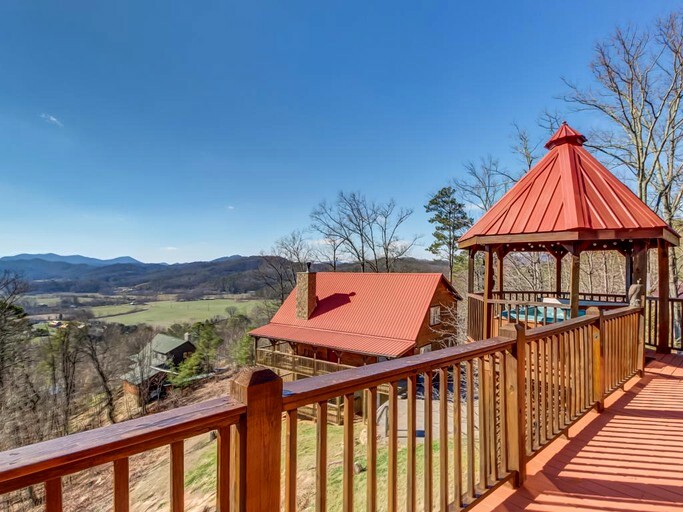 Hiking trails will allow guests to enjoy the beautiful nature surrounding them, or guests can prepare a picnic to share amongst the trees. 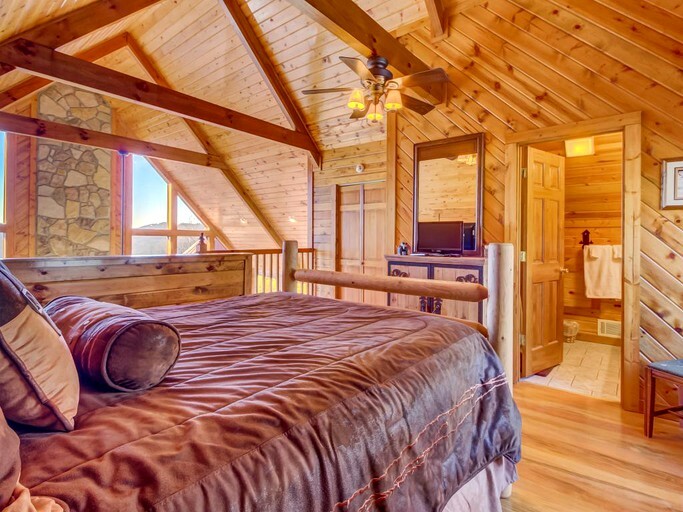 Closer to home, guests can enjoy family-friendly activities like zip-lining, horseback riding, or golf. 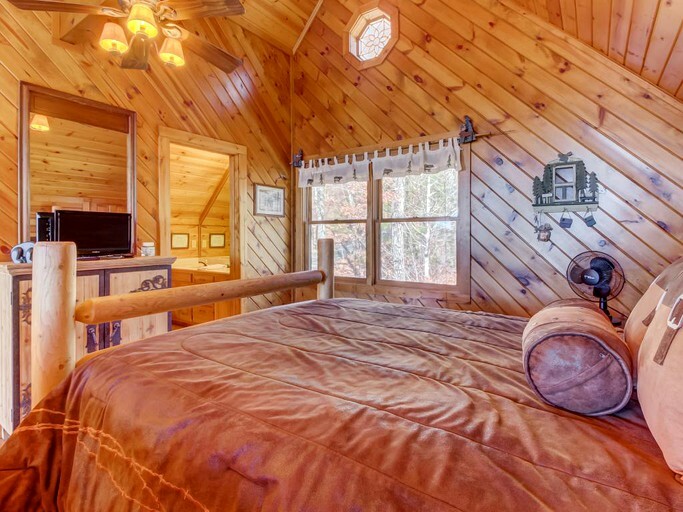 Pigeon Forge is not far away, where guests can enjoy some retail therapy or cafe-hopping. 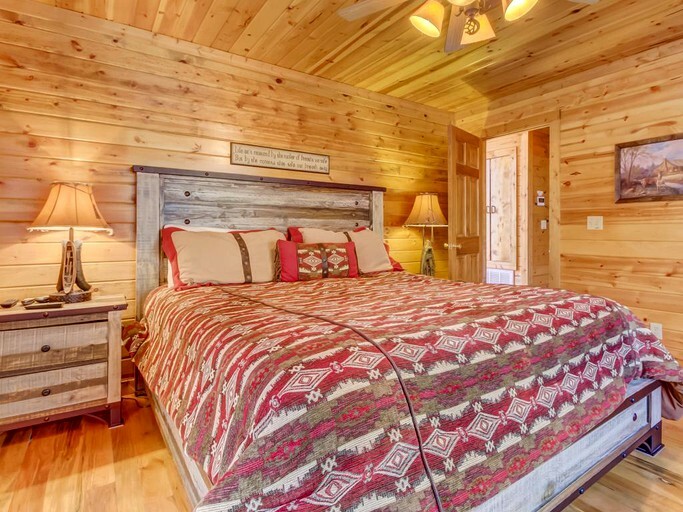 While there, it would be a shame to miss out on the exciting Dollyland, made famous by Dolly Parton herself! 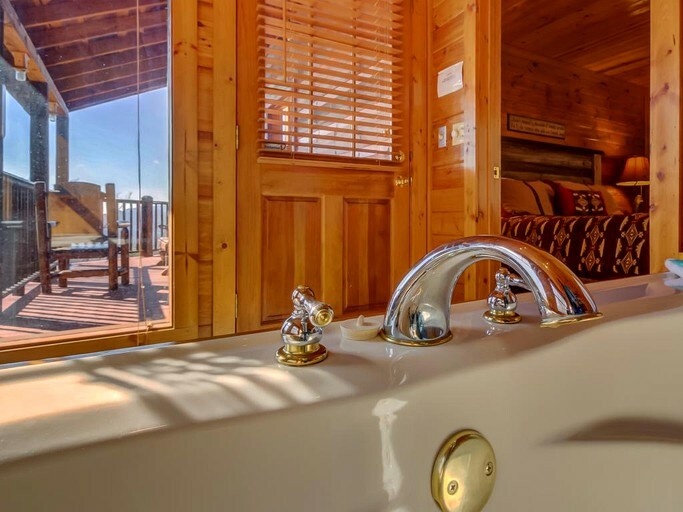 Up to forty rides, games, food, and entertainment can be had there, and in the summer months, the exhilarating Splash Country Water Park is available for cooling off. 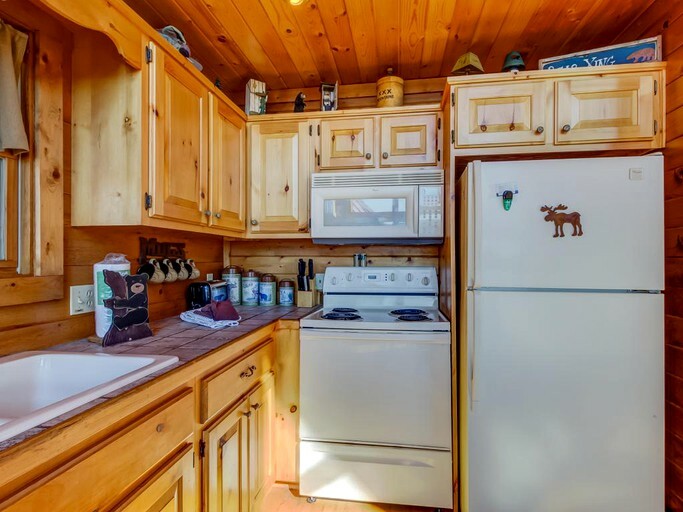 Pets are not accepted at this glamping property.